There are big things happening at the world's biggest video site. 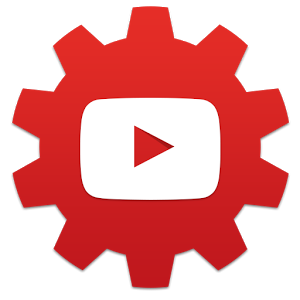 Which one is biggest will probably depend on exactly what you want out out of Google's streaming behemoth, but the most notable addition from an Android perspective is the new YouTube Creator Studio app. This add-on allows frequent YouTube uploaders to check analytics, likes, comments, and that sort of thing without needing a PC. 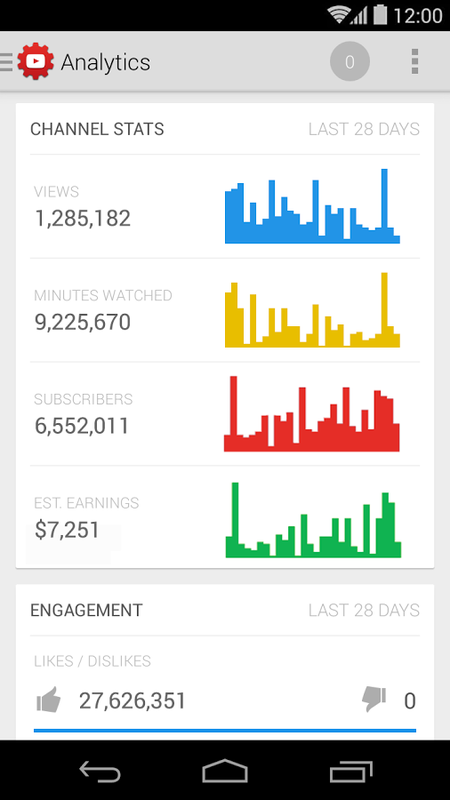 If you make your living on YouTube, which is statistically unlikely, this will be an invaluable resource. 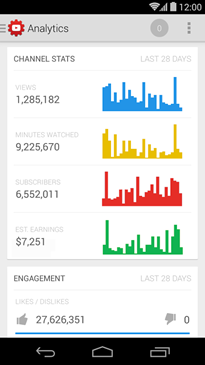 Statistics can be broken down into strict views, minutes watched, total subscribers, and monetized earnings, very much like Google Analytics. The comment view will allow you to see and moderate comments across all your videos at once. The editing tools won't let you edit the video itself, but you can quickly adjust title, tags, description, and other settings. 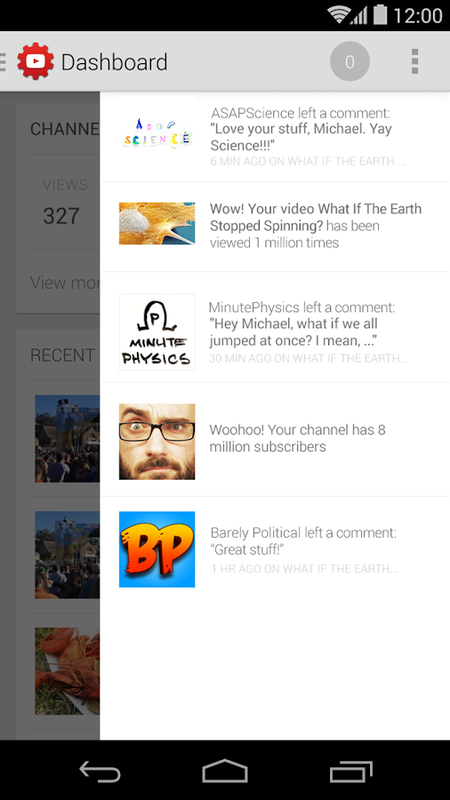 Finally, notifications can ding you when you hit subscriber or view goals. EA's Titanfall (Xbox One) at 60 frames per second. 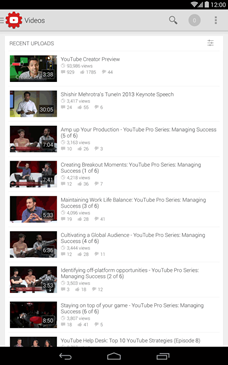 YouTube is also showing off a handful of new features across the board. Uploaders can now post videos in 48 or 60 frames per second, which is great for high-performance PC and console games. Users will soon be able to place funding buttons via Google Wallet, and Patreon on their videos, like a digital tip jar (or begging bowl). Other new features coming to the web and/or Android include an expanded Audio Library with effects, automatic links to collaborators, and user-submitted subtitles. 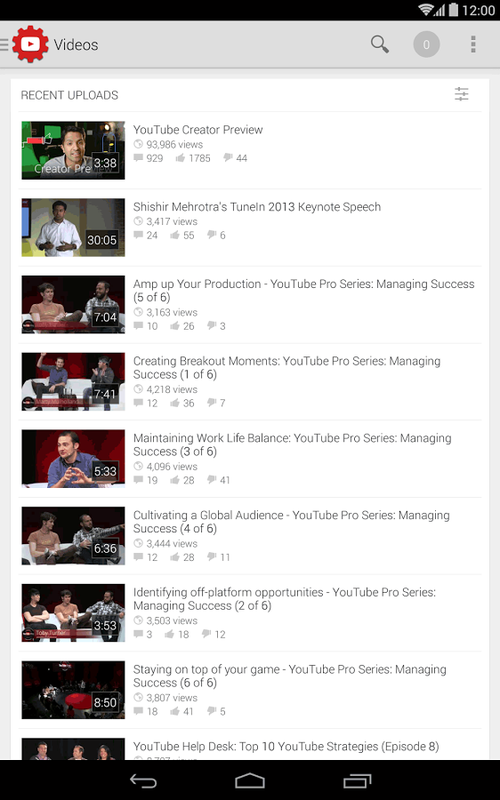 Expect these to hit YouTube app updates in the coming weeks and months.